American earth magnetosphere satellite. Ionospheric studies; returned X-ray, ionospheric, cosmic ray data. 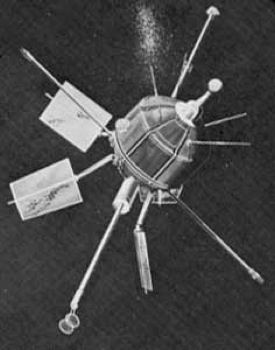 Science satellite built by Westinghouse Electric (Spacecraft), UK. 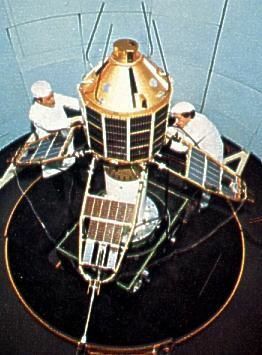 Launched 1962 - 1964. AKA: UK. Status: Operational 1962. 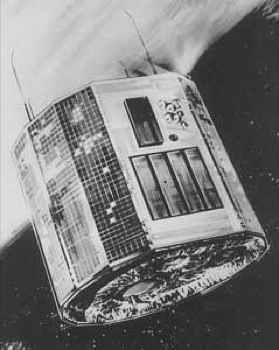 First Launch: 1962-04-26. Last Launch: 1979-06-02. Number: 6 . Gross mass: 62 kg (136 lb). Family: Earth, Magnetosphere sat, Technology. Country: USA. Launch Vehicles: Thor, Delta, Scout A, Scout, Thor Delta, Scout X-3, Scout B, Scout B-1, Scout D-1, Scout D. Launch Sites: Wallops Island, Cape Canaveral, Vandenberg, Cape Canaveral LC17A, Wallops Island LA3, Vandenberg SLC5, San Marco, Wallops Island LA3A. Agency: NASA. Bibliography: 2, 279, 3591, 3592, 3593, 3594, 3595, 3596, 3597, 3598, 6, 6353, 12058, 12059, 12060, 12061. 1962 April 26 - . 18:00 GMT - . Launch Site: Cape Canaveral. Launch Complex: Cape Canaveral LC17A. LV Family: Thor. Launch Vehicle: Thor Delta. Ariel 1 - . Payload: UK 1 (S-51). Mass: 60 kg (132 lb). Nation: UK. Agency: NASA. Class: Earth. Type: Magnetosphere satellite. Spacecraft: Ariel. Decay Date: 1976-03-31 . USAF Sat Cat: 285 . 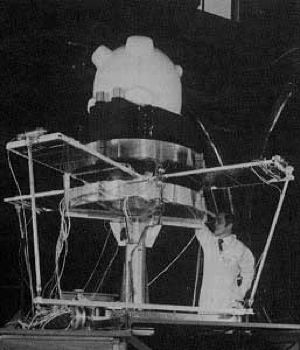 COSPAR: 1962-Omicron-1. Apogee: 1,203 km (747 mi). Perigee: 398 km (247 mi). Inclination: 53.80 deg. Period: 100.80 min. Ionospheric studies; returned X-ray, ionospheric, cosmic ray data. Spacecraft engaged in research and exploration of the upper atmosphere or outer space (US Cat B). .